Over the last decade, social media has become a powerful tool for recruiting. Staffing agencies quickly picked up that and have been using it to draw in clients and reach high quality candidates. 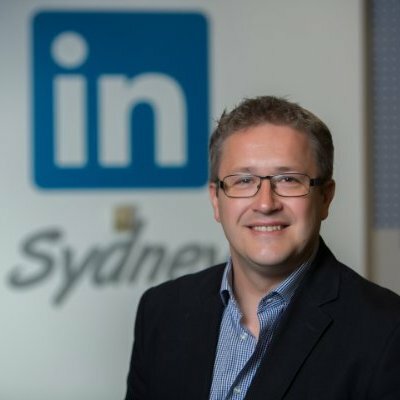 We wanted to see which Australian staffing agencies are harnessing the power of our LinkedIn network particularly well. To find these top socially engaged firms, we analyzed their social reach (eg. Company Page followers), employee engagement (employee LinkedIn activity) and content marketing success (engagement with status updates) on LinkedIn. And without further ado, below are the Top 5 winners across our global, enterprise, and boutique categories (or you can see the full list of 30 winners here). Congratulations! These companies effectively use LinkedIn to build their presence, engage potential candidates and clients, and recruit top talent. Even more, we found that there are three things that they are each doing that has led them to success. And, you can use these tactics and tools on LinkedIn too. Followers are the beating heart of your social media strategy – without them your content will fall on deaf ears. Adding a Follow button to its company website to make it easier for visitors to keep in touch on LinkedIn. Cross-promoting the Company Page in LinkedIn Groups and other social media platforms, such as Twitter and Facebook. Top-down company-wide social promotion. Hays’ CEO Alistair Cox, for example, has published more than 40 posts via the LinkedIn Influencer program. Remember, your employees’ network is a huge source of potential followers. The best recruitment companies share content full of valuable information to their audiences. These organisations identify their target audiences, whether the candidates are passive or active, what they’re interested in, and what the recruitment agency can do to help them with their pain points or challenges. Companies, such as enterprise winner Halcyon Knights, tend to keep their content as authentic and personable as possible. This involves getting the consultants involved, whether it is featuring in videos or writing blog content, providing personalised updates based on timely industry news. This type of content keeps the audience engaged by sparking conversations with the consultants, when content becomes too automated or irrelevant audiences switch off and participation in online discussions is reduced. LinkedIn’s data shows that the collective network of employees is 10 times larger than the company’s and that people are three times more likely to trust company information from employees than from the CEO. Your employees’ networks might be the most underused asset in your business, so remember to empower your employees to share great content. Top agencies, such as boutique winner Blackbook Executive, have created a winning strategy by encouraging their consultants to share relevant content on their social media channels and are reaping the benefits. 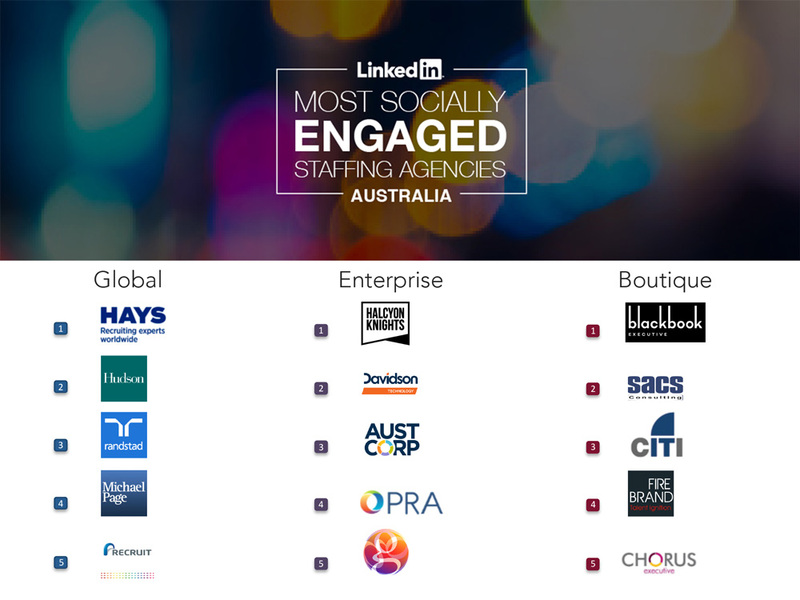 Want to see who are the most socially engaged staffing agencies in Australia? Check out the full list.